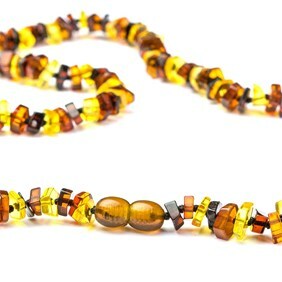 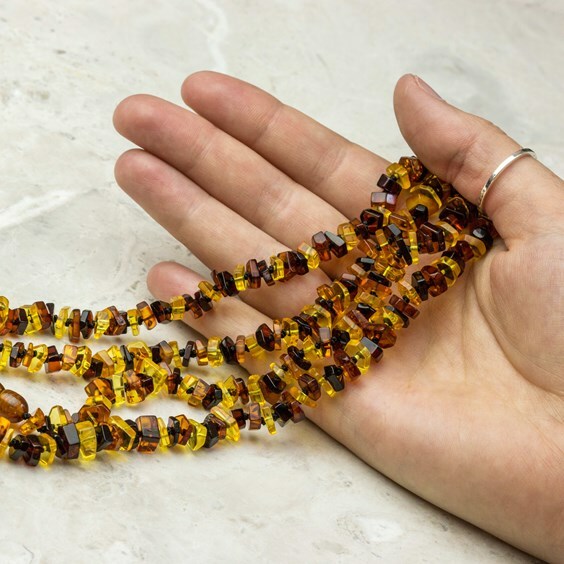 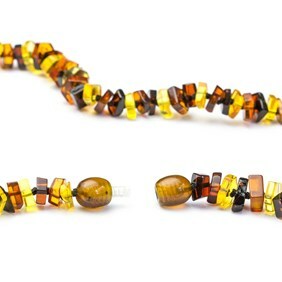 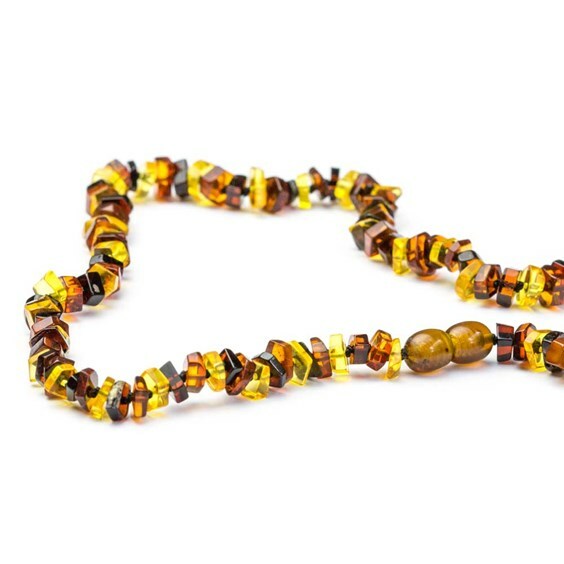 These beautiful Baltic amber mixed colour chip bead necklaces have gorgeous mixed colours of honey, lemon, light and dark cognac. The thread is knotted between each bead to ensure that in the unlikely event that it breaks only one bead will come off. Each necklace is fitted with a smooth screw clasp and as amber is relatively light and the bead shapes smooth these are extremely comfortable to wear. 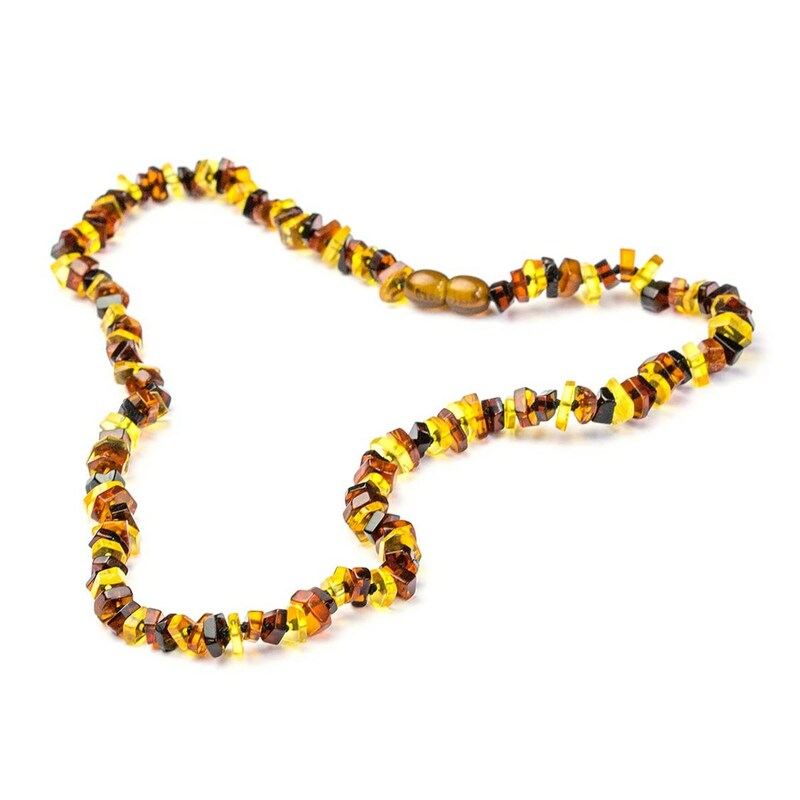 Each strand is totally unique as each bead is slightly different in size and shape.